This article aims to evaluate municipal solid waste (MSW) management schemes in order to promote sustainability and eco-efficiency, core elements in global mitigation strategies in both public and private policies. A discrete event simulation (DES) approach was used to integrate the economic, environmental, and social aspects related to aseptic carton packages (ACP) in Itajuba, Brazil. The simulated scenarios consider three alternatives for disposing ACP: landfills, recycling, and incineration with energy recovery. According to our findings, incineration alternatives are preferred from an eco-efficiency perspective, given the potential greenhouse gas (GHG) emissions reductions and due to the possibility of energy recover, which reinforces the contribution of this technology to promote sustainability as largely found in the international literature. Given the context of MSW management in Brazil, this represents a significant opportunity to increase the effectiveness of mitigation strategies adopted in the country. 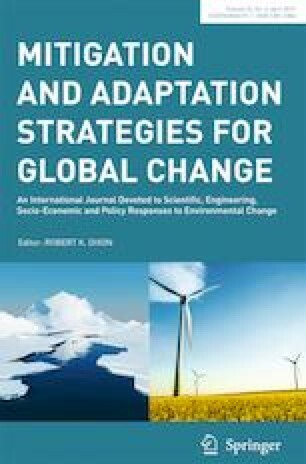 Taking into account that this is by far the least applied technology, the authors strongly advocate that global strategies for mitigation consider different approaches to integrate carbon dioxide (CO2) emission reductions related to the entire MSW management system and its alternatives, thus advancing from a waste disposal-oriented system to a life cycle–oriented system. The authors would like to express their gratitude to the Brazilian agencies CNPq (National Council for Scientific and Technological Development), CAPES (Brazilian Federal Agency for Support and Evaluation of Graduate Education), and FAPEMIG (Foundation for the Promotion of Science of the State of Minas Gerais), which have been supporting the efforts for the development of this work in different ways and periods. The authors also would like to thank ACIMAR and INTECOOP.